One can easily choose GTS Cab services from Delhi to Jaipur for its reliability and creditability. You can choose whether you prefer Delhi to Jaipur taxi for Airport/railway station pick & drop, local sightseeing trip or outstation tour. One-way and round trip taxi service. Considering all your requirements, you can choose any of your favorite car models & enjoy your whole time in wherever you choose. With the easiest way of booking service, GTS cab service provides the convenient & easy way to reach car rental service in India that reaches to your doorstep. Through GTS Delhi Airport to Jaipur, you can even grab great deals on car rental services that assure you towards the best value of taxi booking in Jaipur. You can cover this distance within approx 5 hours. It’s almost 260km distance. On the way, you will pass through the pitstops of Neemrana, Amer and Sariska National Park during this road-trip. You may halt at your convenience anytime, anywhere and enjoy your short break. With our expert drivers you can reach your destination in optimal time. GTS Cabs are ready to take you everywhere you want. If you look for hiring a taxi to travel everywhere in Jaipur or Delhi, give all your requirements & enjoy your valuable time whether you go for sightseeing local destination or outstation tour, you can easily book our GTS cab for Delhi Airport to Jaipur Traveling. Our Taxi service for Airport Transfer provides an efficient and reliable Taxi Service experience that will let you adhere to all your planning and schedules. Get booking done online at reasonable rates and avail the latest offers. GTS cab service is offering low-cost rates which are suitable according to your budget. GTS Car Services provide all sought of features in our cabs from AC to NON-AC Clean spacious cars with good capacity for all requirements customers need. At GTS customer service is topmost priority. Just book a cab online or simply download GTS Mobile App and get your booking done. You can simply give a call to 8191-00-8191 our 24x7 customer care support will assist you anytime. Everything that is required for Delhi to Jaipur Taxi Rates has listed above. Now go through choosing the package and find the best deals on Delhi to Jaipur Taxi Rates. Delhi to Jaipur rates is all different that depends on the convenience you are choosing to reach Jaipur from Delhi. Such as if you are going through the bus, then they would have their own rates, taxi fares will be different and train tickets, Air tickets will have their own label. With all these options, you can choose the one which goes according to your budget above Delhi to Jaipur rates. We are in a way to provide you taxi service in your city. Delhi Airport to Jaipur Taxi Service offers the most affordable rates and reliable services. Dealing with Car Rental Service in Delhi, we aim to deliver quality so the customer could be felicitating and their requirements could be fulfilled. Along with, we give 24*7 customer support in order to get connected with the clients when they need it the most. Delhi Airport to Jaipur Taxi service at our GTS Car Rentals revolves around the most affordable rates. You can know more or anything that relates to Delhi Airport to Jaipur Taxi Service. Facilities included in the list of Delhi Airport to Jaipur Taxi Service are Pick and Drop, One Way or Round Trip. Our growing individuality in the field of taxi service provider in Delhi we offer you to choose from AC Cabs or Non AC Cabs and get the most affordable rates that suit as per your requirements. Our AC cabs fall into the categories of Economic cabs so that you can choose which goes according to your budget or needs. Our AC Cab Services are available for the Outstation, Pick and drop, round-trip or one-way trip. Amongst the valuable packages, you can choose the one which goes best with all your choice. Above everything that requires, AC Cabs will be better in a way to keep you cool but not sweating up. You can book now the Delhi to Jaipur AC Cabs by using the GTS Mobile App! find the latest deals on Delhi to Jaipur AC Cabs in Delhi. 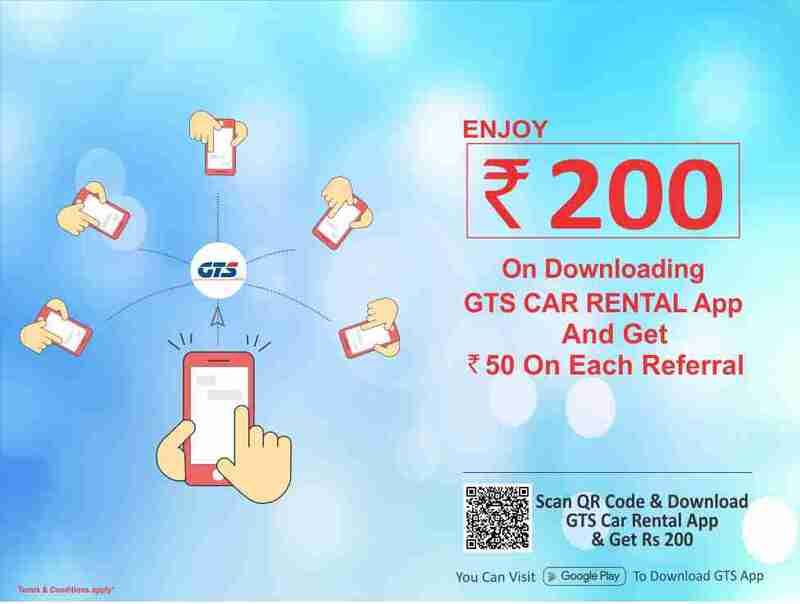 GTS offers you to grab the opportunity by using the GTS Mobile app. 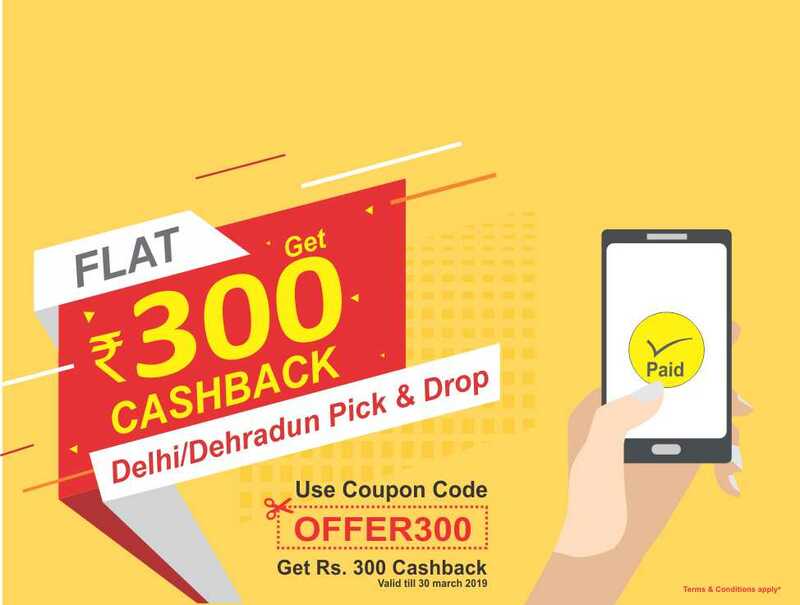 Delhi to Jaipur AC Cabs booking can also provide you the cash back (only when you book a cab online). We aim to provide you the best taxi service with the most affordable fares for your one-way travel. Now, try your next ride with us. You can go through the given contact number or download the GTS Mobile App! one way trip from Delhi to Jaipur offers you to hire a cab at your own affordable rates. Now, Book a cab for one way trip from Jaipur to Delhi and get the best ever deals on Car Rentals. Our taxis are well maintained for your suitable traveling experience which will make your trip memorable with an ease of covering a long distance journey. Most reliable Cab Service in Delhi delivers quality service for one way trip from Jaipur to Delhi. Facilitated by the customer friendly taxi service in Delhi, we take provides the easiest way of online taxi booking, choose everything you require and we will bring you the best at all your requirements.